Jessica Lange: In Mexico, an exhibition of photographs by award winning actress Jessica Lange, is on exhibit at Polk Museum of Art in Lakeland, Florida. 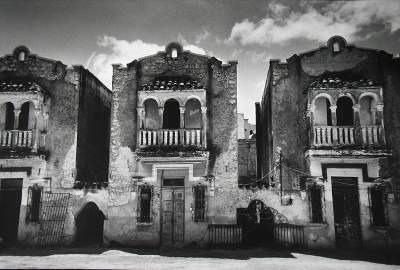 According to an interview at TheLedger.com with Adam Justice, curator of art at the Polk Museum of Art, the exhibit features photos Lange took during several trips to Mexico between 1992 and 2008, and that her work consists of black and white photos that were shot with film and not altered during the developing process. In a 2009 interview with Gambit, Lange says began taking photographs in 1992 when she received a Leica camera as a gift from her longtime partner, actor Sam Shepard. Photography is very personal and private, unlike acting, which is so collaborative. It was great because I could wander the streets and have this emotional response that’s not dependent on anyone else. The act of looking and seeing has become so vital to me that I feel changed as a person. But it’s like acting in that you have to be so completely in the moment. It’s a gift. 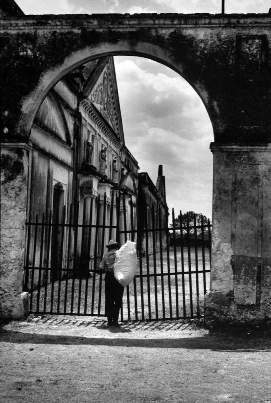 In 2009 Jessica Lange published 50 Photographs, which is a collection of black and white images from her world travels to destinations such as Mexico, Africa, Romania, Russia, Finland, Italy, and France as well as the U.S. The book includes an introduction by punk rock star Patti Smith. This was written by Lorrie. Posted on Saturday, September 24, 2011, at 12:30 pm. Bookmark the permalink.